Spicewood Farms offers English and Western horseback riding lessons for children (7 yrs. and older) and adults (maximum weight 150 lbs.). Cost: $250 per month for one group lesson every week / $350 per month for one private lesson every week. School horses provided. Lessons are one hour. We don't offer a "work in exchange for lessons" program. 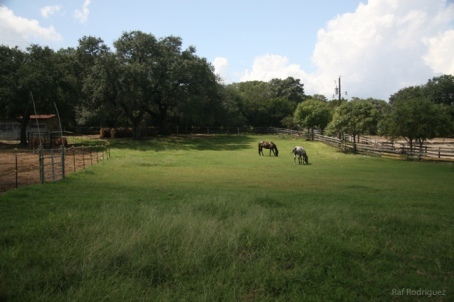 Spicewood Farms does not do guided trail rides or "rent" horses. We offer lessons on a regular weekly schedule tailored to the experience levels and interests of our boarders and clients. Please email spicewoodfarms@hotmail.com for more information.